Following Google’s decision to kill Google Reader, I’m joining a lot of other bloggers in offering alternatives. I’m personally using Feedly for the moment, but mostly out of inertia. I’m not certain I’ll stick with it. For those of you who prefer Bloglovin, I’ve signed up for an account and claimed my blog there. And I’ll try to get a widget onto the home page soon. If there’s other reader apps you folks like, let me know and I will try to get subscription links posted. This entry was posted in Uncategorized on June 30, 2013 by stitcher. I almost didn’t create this blog. Then I created it. Then I almost deleted it. And now I’m writing my first post. The complete story of how I took up sewing as a hobby is a subject for future posts, but it started in earnest with a gift this past Christmas – a Brother PC-210 sewing machine. After staring blankly at it for a few days – I’ve never been intimidated by technology before – I finally went to the fabric store to buy fabric and notions. My first project was two pillows to replace the ones that were falling apart in my living room. And since then I’ve been teaching myself sewing. The name of the blog, Line of Selvage, is a melding of 1) the “selvage”, or the strip of finish of the ends of the fabric as it comes off the bolt and 2) the “line of scrimmage”, a term for the point at which two teams meet on the field in a game of American football. 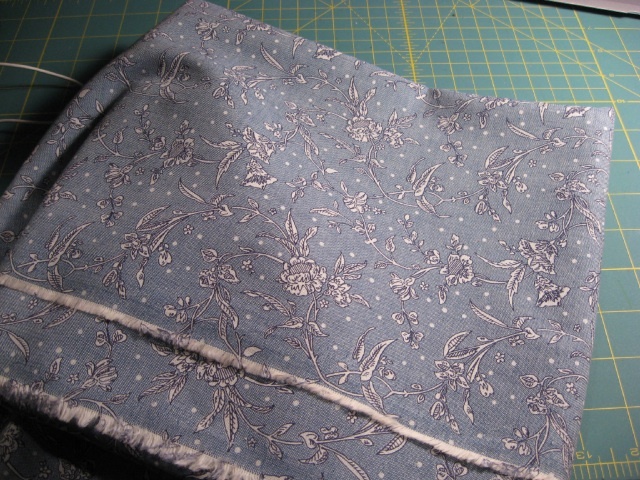 For me sometimes, the art of sewing seems like a faceoff between myself on one side, and the fabric, sewing machine, patterns and notions on the other. Please stick around for the parade of projects to follow! I hope you enjoy them. This entry was posted in Uncategorized on August 5, 2012 by mportuesisf.